A STATE witness yesterday dropped President Emmerson Mnangagwa's name in former Energy minister Samuel Undenge's criminal abuse of office trial, claiming that his office had allegedly given a directive to the Zimbabwe Power Company (ZPC) to disregard public tender procedures by awarding a public relations contract to Fruitful Communications. At the time, Mnangagwa was still the country's Vice-President. ZPC is a subsidiary of Zesa Holdings. ZPC public relations executive Fadzai Chisveto told Harare magistrate Hosiah Mujaya that the power utility engaged the firm, owned by Zanu PF legislator Psychology Maziwisa and State broadcaster Oscar Pambuka, after the two claimed they were from Mnangagwa's office. 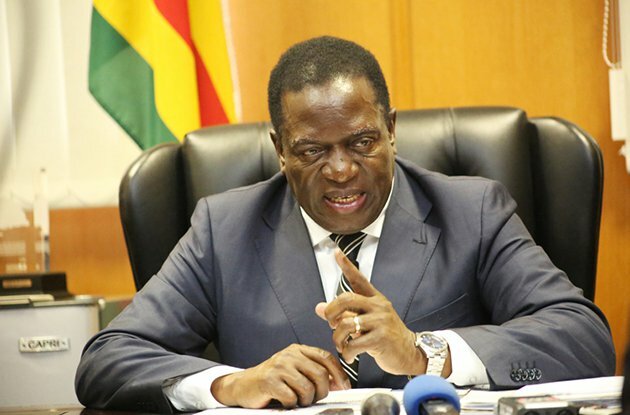 "Pambuka and Maziwisa came to us in November 2015 saying they were coming from the Office of the Vice-President, Emmerson Mnangagwa, with directives that we engage them for the ZimAsset media campaign events and we held several meetings with them," Chisveto said. Undenge's lawyer, Alec Muchadehama, then asked Chisveto why they then requested Undenge to write a letter in January 2016 when Pambuka and Maziwisa had already been awarded the contract to do public relations work for the power utility. Chisveto said Undenge's letter was meant to formalise the deal. She added that Fruitful Communications fulfilled its contractual obligations, but inflated the charges. $5 000. But we were surprised when they brought an invoice of $12 650, which we paid," Chisveto said. Muchadehama further asked Chisveto why they were now accusing Undenge for a crime committed by Fruitful Communications Company, and she declined to respond. Undenge's lawyer then told Chisveto that the letter written by his client was irrelevant, as ZPC had already given Pambuka and Maziwisa a contract on the basis of a directive from Mnangagwa's office. "On that letter, did the accused person (Undenge) tell you not to follow the tender procedure and hire Fruitful Communications Company?" Muchadehama asked. Chisveto said although he did not explicitly say so, in her view, doing otherwise would have been viewed as insurbodination. Undenge's other lawyer, Dumisani Mtombeni, told the court that his client did not order ZPC to give Fruitful Communications the job, but asked the company's managing director Noah Gwariro to use his own discretion. "From the testimony of the witness, the accused person (Undenge) never interfered on the day-to-day operations of ZPC. He never ordered them to give the contract to Fruitful Communications," he said. Mtombeni added that Undenge ordered ZPC to disregard the public relations firm's $36 000 invoice after gathering that Maziwisa and Pambuka had inflated their charges. Mujaya postponed the matter to May 22 for continuation of trial. Allegations against Undenge are that the fraudulent deal prejudiced the State of $12 650. Jonathan Murombedzi appeared for the State.